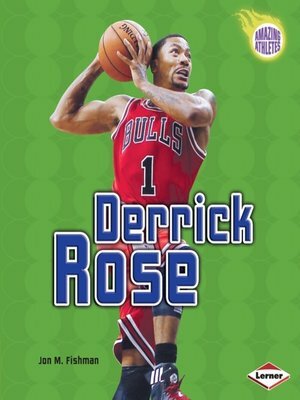 Chosen first overall in the 2008 National Basketball Association (NBA) draft, Derrick Rose is one of the most explosive players in basketball. He learned the game from his older brothers while growing up in a tough neighborhood in Chicago. After one year at the University of Memphis, Derrick brought his high-flying game to the Chicago Bulls. Learn all about Chicago's biggest sports star and his dream of bringing the NBA championship to his hometown. Jon M. Fishman is an editor, author, and sports fan. He lives in Wisconsin with his wife and three dogs.